More than a dalliance this time . 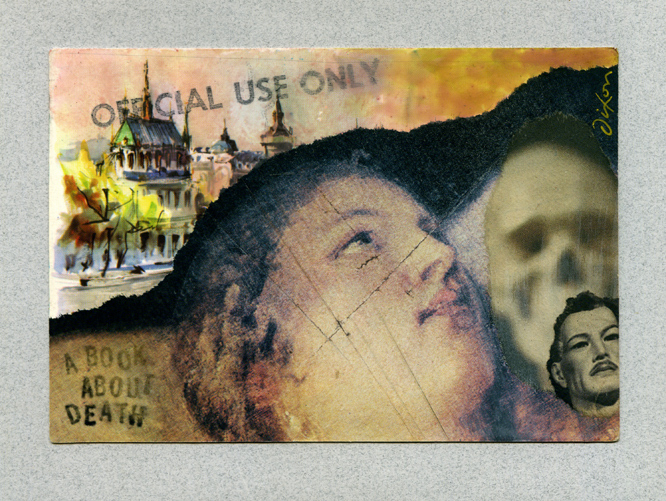 . .
First of all, I must admit I do not know all that much about the practice of “postal art.” Although I have mailed thousands of gift art items over the decades (usually disguised as greeting cards), I have never considered myself a “mail art” enthusiast, having had only indirect contact with the popular activity. 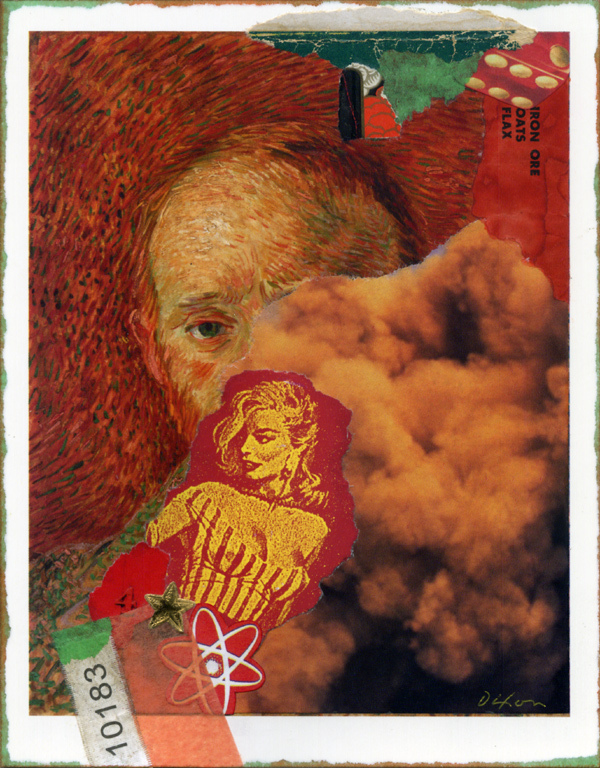 I am aware that Ray Johnson was a seminal force in the phenomena, and that many think he envisioned the virtual community long before today’s online social networks took hold. Blogsites such as Jennie Hinchcliff’s exuberant every day should be a red letter day have enabled me to experience an enthusiasm for the genre in a vicarious way. 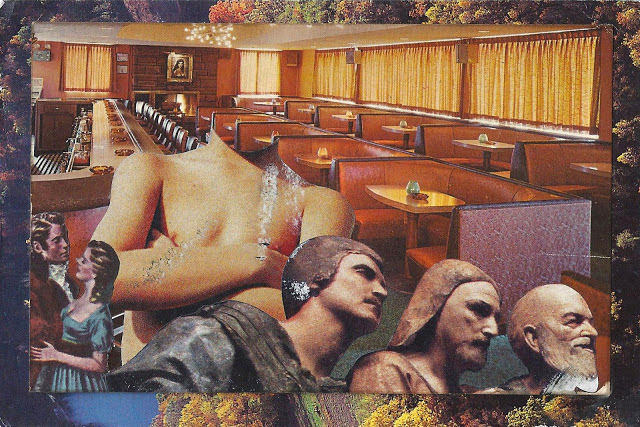 For those who create collage, the art form has overlapped with collaboration to some degree, with the essential exchange of creations taking place. Like many artists, I have some major problems with the “art world” as an entrenched, elitist institution, but, because I have no philosophical bias against the idea of an “art marketplace,” the correspondence art movement never has had much of a grip on my sentiments or available time. Nevertheless, I strongly identify with the inclusiveness and magnanimity at the heart of the practice. 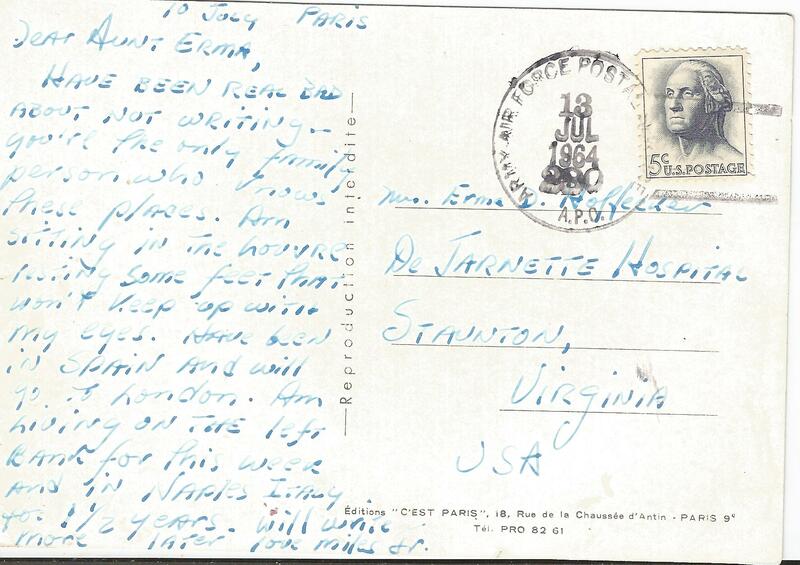 I am not entirely sure why I responded to a recent mail art proposition from Nancy Gene Armstrong, but I had taken note of her work for the first time last year and the appeal of having an example of it arrive for me in the mail was undeniable. It came as a vertical design, nearly 26 inches tall, that unfolded in a paced, rolling presentation. Below are two exquisite details from her generous offering. The joy of looking . 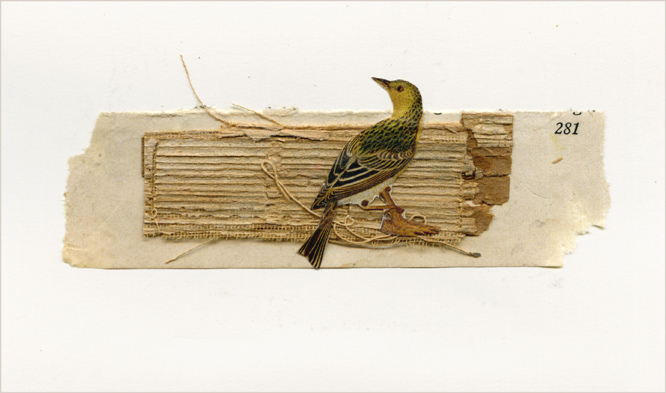 . .
Scopophilia, the postcard collage exhibition, has been featuring contributions at its Website. It is always a delight to see new names and fresh approaches to our medium. 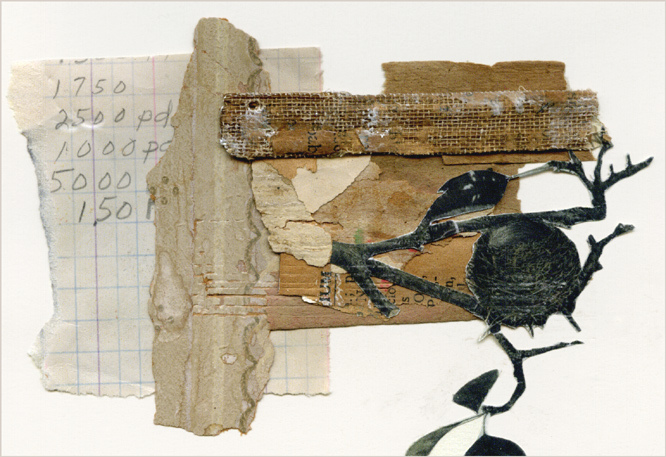 I must admit that there is much for me to learn about the history and current state of Mail Art, which has always been closely tied to collage, based on the trends set in motion by Ray Johnson and his collaborators. My thanks to British artist Theo Miller for his ongoing management of the Scopophilia project. Many of us look forward to learning if the volume of submissions will culminate in a physical exhibition. 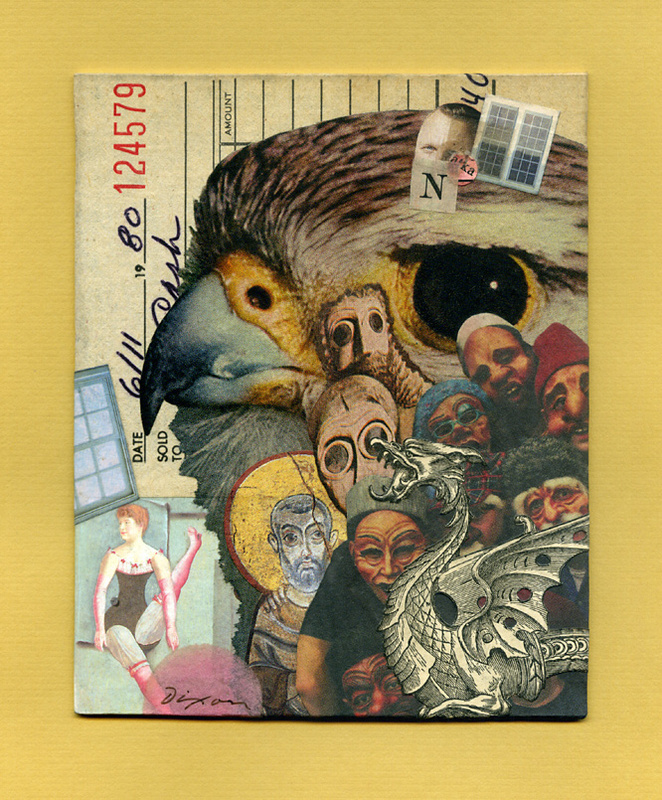 You are currently browsing the archives for the Mail Art category.